Boko Haram has claimed responsibility for Monday’s cowardly attack on a motor park in Nyanya, a suburb of Abuja, which left over 71 persons dead and over a hundred others injured in the nation’s capital. Curiously, the Islamist group, in a 28-minute video obtained by AFP on Saturday, was silent on the abduction of scores of girls from Government Girls Secondary School in Chibok, Borno State. “We are the ones that carried out the attack in Abuja”, the sect’s spiritual leader, Imam Abubakar Shekau said in the video message. “We are in your city but you don’t know where we are”. 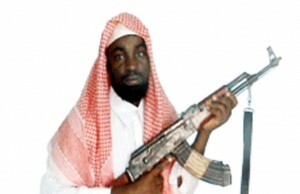 Wanted in Nigeria and declared a global terrorist by the United States with a $7 million (5.1 million euro) bounty on his head, Shekau spoke in Arabic and Hausa language.